Struggling to make your mixes sound as good in your DAW as they do in your head? Help is at hand from our sister magazine Computer Music. 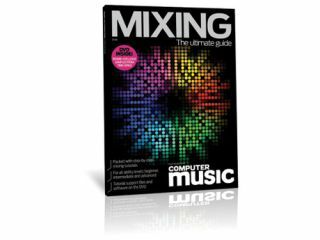 Mixing: The Ultimate Guide brings you 164 pages of in-depth tutorials on the art of mixing, taken from the pages of Computer Music and Computer Music Specials. Catering for music producers of all ability levels, subjects covered include mix preparation, EQ and effects, mix automation, monitoring, transient design, mastering and much more. The accompanying DVD is packed with audio examples and tutorial files, plus 900MB+ of exclusive royalty-free samples from Time+Space. The Ultimate Guide to Mixing is available online at www.myfavouritemagazines.co.uk and in shops now, priced £9.99.